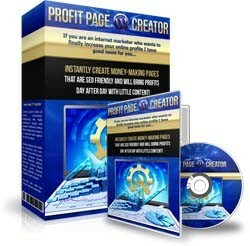 "Instantly Create Money-making Pages That Are SEO Friendly And Will Bring Profits Day After Day With Little Content! Discover A Brand New And Highly Profitable WP Plugin That Once You "Fire It Up" Will Generate You Endless Sales!" But there's something that I can say with 100% confidence. You are constantly on the lookout for ways to make money, right? If this is the case, I have great news for you. Money pages that will bring you endless sales! Most marketers think that you need a lot of "high-quality" content in order to generate money. And that's partially true, but here's the thing that might shock you: you don't need TONS of content in order to generate affiliate sales! I know that perhaps some marketers will disagree with what I am saying right now, but in just a few moments you will discover the proof that this is 100% right! Over the last month I've developed and tested a unique and useful plugin that I’m now constantly using in my affiliate marketing campaigns. The only thing that I have to do is create and deploy these instant money-making pages that are SEO friendly and that generate me profits almost on complete autopilot! This incredibly profitable WP plugin will help you to skyrocket those bland affiliate sales that you are currently making (or are not making at all).